Is Driving a Car Better Than Taking the Train in Europe? Renting or leasing a car has its staunch adherents, especially among Americans. But train travel in Europe is quite a bit more pleasant and efficient than it is in the USA, so folks will tell you, "Get a car, you can get to the little places in rural Europe." The fact is that trains go to many of those out-of-the-way rural gems. And for huge cities, you can't beat it, because parking can be nearly impossible and crime is a problem. The train generally lets you off in the heart of a destination city. 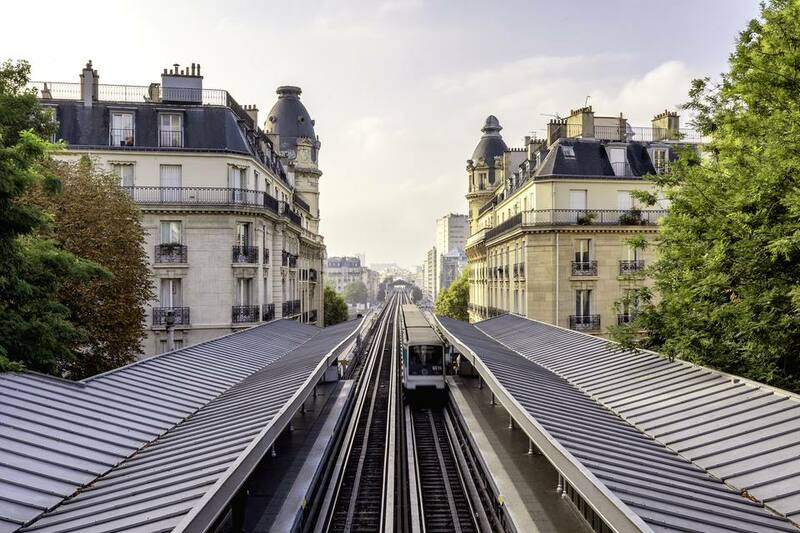 In any case, check out the pros and cons of cars vs. trains before you decide upon your means of getting across Europe. Remember, you can also do a hybrid trip, taking your car to the little places, then the train to big cities like Rome. Trains allow you to move easily between cities and European capitals. Most train stations are located near the tourist centers and have hotels nearby. With an unrestricted Eurail Pass, you can get on and off when you wish, often without the hassle of dealing with ticketing agents. You can take the train on a rainy day just to see the scenery, without having to worry about the unscheduled expense. You can sleep on a night train, saving travel time and some of the cost of a hotel. You can pay full attention to the scenery at hand—or read a book. You can meet with and talk to the locals—or get travel info from other travelers, while you're moving on to your next destination. It's easy to get to small, out-of-the-way towns and hidden romantic getaways. Go where you want, when you want. You don't have to go by the train timetable. Visit sites out in the countryside without having to sign up for an expensive tour. When you see something compelling in transit, you can leave your luggage in the car (albeit at some risk!) and explore your surroundings. Many people can travel at the same cost—if you choose a large enough car. If you want to experience an event in the countryside, you'll most likely have to sign on to an expensive tour or figure out the local buses, which aren't on a tourist schedule. Usually, two people travel for double what one person can travel for. A large family traveling on a train is usually quite a bit more expensive than stuffing them into a rental car, especially in northern Europe, where train fares tend to be higher. This is changing as there are deals on train tickets that allow families to travel on a discount. On the other hand, keeping young children entertained may be easier on the train. In a major city, you'll have to deal with parking and related fees, if you can figure out how to get to your destination in the first place. You'll have to deal with the worries involved with driving in an unfamiliar place with unfamiliar rules. Many cities in Europe have restricted traffic zones in the city centers, like the Zona Traffico Limitato in Italy, made to confound tourists. Ticketing is automatic via cameras and can be quite expensive. Young children may not like long journeys in the car. If you're traveling with a large group of people, want to visit small towns, and like to drive in Europe, then it's a no-brainer—you'll want to rent or lease a car. But if you're a single traveler or couple who wishes to visit the great capitals of Europe, then train travel might just be the best bet for you. If you're intent on seeing many large cities in a limited amount of time, it might save you considerable money to purchase a rail pass. Most passes for European tourists require you to buy them ahead of time in your own country. You can purchase just about any pass you can think of from Rail Europe. European trains go to many small cities and towns, but for the smaller towns not serviced by trains, you'll often find a local bus making a round trip between your city and the town you wish to visit—buses scheduled so the locals can shop in the big city and get back before dark. Your best bet is to check out the bus stations in the city in which you're staying. The other alternative is a tour. Huge, lumbering buses can be seen on all roads in the most remote areas of Europe during the season. Check at the local tourist office or at your hotel check-in desk for day tours.